game has been rehashed ad nauseam already so I won’t delve into it further. Hopefully this becomes a small asterisk on what will otherwise be a successful season for the Badgers. Like Gary Andersen smartly noted in his weekly press conference, you cannot allow the ending of the Arizona State game beat you twice, time to move on. Before previewing Purdue, a quick non-botched officiating review. Once again Melvin Gordon was absolutely spectacular. Gordon was clearly the most dynamic player on offense against Arizona State. Currently he is second in rushing yards and third in rushing yards per attempt in the country. Most amazingly he has needed only 37 carries to amass 477 yards and 4 TDs . Pretty safe to say OC Andy Ludwig needs to find more ways to get the ball into Gordon’s hands more. Joel Stave and Andy Ludwig did not have their best day. Stave looked tentative and rattled early on and never quite settle down. However, he wasn't done any favors by the offensive play calling. Remember Stave is a true sophomore and was making only his ninth career start in an extremely hostile environment. They were backed up on the first two drives (first drive started on the 3, the second on the 8), a challenging situation for a young QB on the road. Yet both series saw only one run and two pass plays called putting all the pressure on Stave and not playing to the Badgers strength. Additionally it seemed most of the pass plays were deep drops with long developing routes, with very little of the play action setup the Badger offense has relied on so heavily in the past. Lastly, the inside running game bogged down even though the Arizona State defensive line was much smaller. 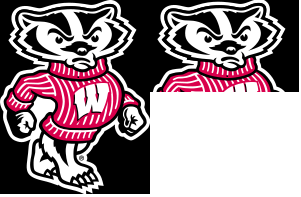 For the most part the Badgers offensive line earns it’s keep by executing trap plays pulling from the backside of the formation to lead the running back through the designed hole. The undersized but quicker Sun Devil defenders were successful in shooting the gaps created by the pulling Badger lineman and disrupted the timing and bottled up the hole before it could even open. Ludwig was slow to adjust play scheme until late in the game. Most noteably on Melvin Gordon’s second touchdown run when they abandoned pulling any lineman and used a simple one step zone read straight ahead. Both Gordon and lead blocking back Derek Staus waltzed into the end zone untouched. The Badgers secondary was picked on heavily to the tune of 352 passing yards. Certainly there is room for improvement here, but for the most part they were in good position and happened to get beat by good throws and solid catching from the Sun Devil receivers. I don't even mind the penalties. Playing physical in the secondary will result in an occasional penalty and I would much rather deal with a flag or two that sit back in a soft zone. Arizona State will have a lot of good passing days and ultimately the defense did enough to put the team in a position to win the game. Honorable Mention Bucky – Chris Borland is awesome. If not for the referee’s botching the last 18 seconds everyone would be talking about this fake punt. First a little history. 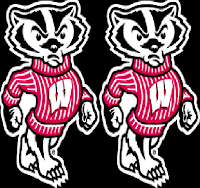 The past two times these teams have played the Badgers have outscored the Boilermakers 100-31 and averaged 415 rushing yards per game. In 2011 the Badgers were coming off back to back Hail Mary losses and took out their frustrations on the Boilers. Last year Montee Ball ran for three touchdowns and moved ahead of Ron Dayne for first place on the Big Ten career TDs. Needless to say Purdue can’t feel terribly confident heading to Madison to face a Badger team looking to take out last week’s frustrations. In my preseason preview I noted how Dave Aranda loved to bring pressure when he was the defensive coordinator at Utah State. Through three games this year the Badgers rank 116 in the country in sacks per game, not exactly what I expected. Purdue is a pass happy offense so the opportunity to turn up the blitz percentage will be there again this week. However I suspect Aranda is hesitant to leave his young secondary vulnerable with no safety help by bringing extra pass rushers, something to keep an eye on as the season progresses. This game will also be telling in regard to how Gary Andersen handles his first hurdle as Badger head coach. Both in postgame comments and weekly press conference, Andersen has handled the end of the Arizona State game with class and dignity. But ultimately it comes down to how the team performs on Saturday. As long as the offense starts quickly and scores points early, this game is relatively low on the threat level. If Stave starts shaky and the run game sputters the Boilermakers could hang tough make the Badgers sweat this game out for four quarters. 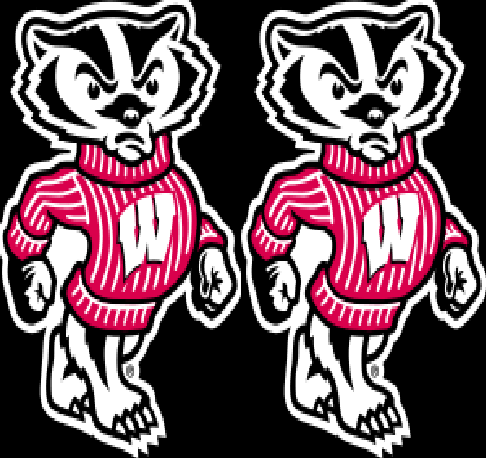 I think the Badgers come out in this game a little out of sync before finding their stride and running the game out of reach in the 4th quarter.